The Tenth Regiment of Foot is a British military unit raised more than three centuries agoand perhaps most famous in the U.S. for seeing action on American soil during the Revolutionary War in the Battles of Lexington and Concord, and the Battle of Bunker Hill. 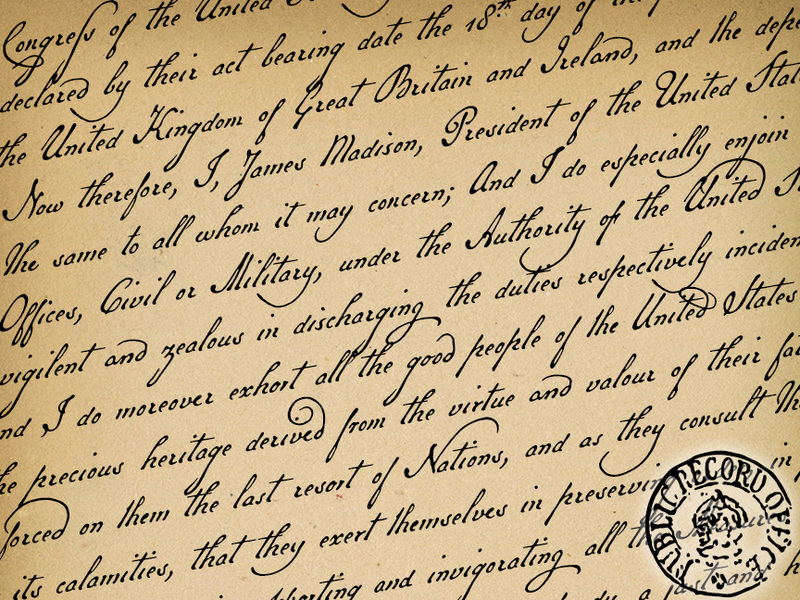 Military Scribe is modeled after the compact utilitarian script on the muster rolls of the Tenth of Foot in the late 1770s. I incorporated the work of at least three separate scribes, averaging their neat old penmanship into a legible disconnected cursive. Perhaps the most versatile of all our vintage handwriting fonts, Military Scribe might faithfully reproduce antique letters, labels, lists, or just about any other period document. OpenType features include multiple stylistic sets, scores of historical, contextual, and discretionary ligatures, lining and old-style figures, ink blots, cross-outs, and full support for Central and Eastern European alphabetsmore than 1,000 glyphs in all. US$39.